I am not sure how I have lived for 32 years and not ever played Roll A Turkey. It looks like a really fun Thanksgiving game for kids. A Lemon Squeezy has a printable Roll a Turkey game where kids draw a turkey and Savvy Spending has a version of candy Roll A Turkey. 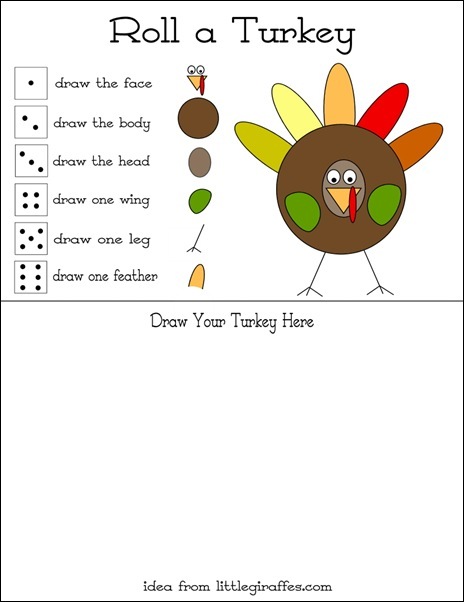 Both look really fun and are a great activity for the kids table this Thanksgiving. What a great game!! I can't believe I've never heard of this either!